Doesn’t it seem like yesterday that you were deliberating over which crib to purchase for your new baby? And now, just like that, it’s time to look for a “big girl bed” and you’re no doubt doing endless research on the best toddler beds. When we transitioned to a big girl bed with my first. It was exciting and also a bit scary (for her and for us). We happen to be a bit on the sentimental side so this new venture was bittersweet. That’s why I have made a quick list of what I think the top choices on the market are for the best toddler beds. If you choose a toddler bed from this list, both you and your kiddo are bound to enjoy this transition. This Orbelle toddler bed is the most affordable on my list but, it still stands up next to the priciest listed here! 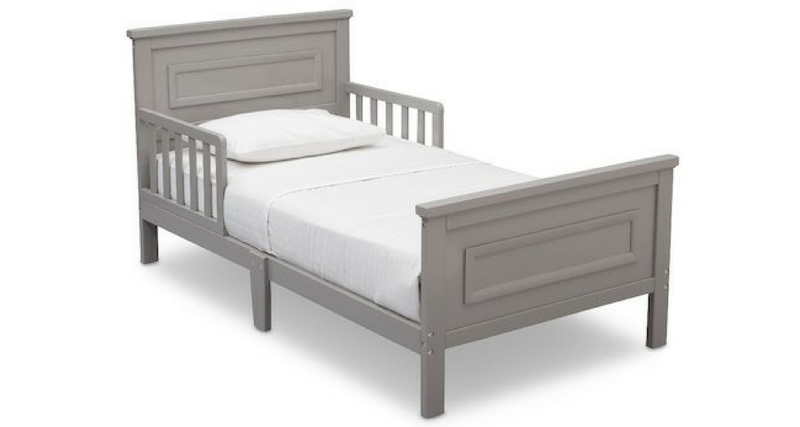 This bed is solid wood with a beautiful neutral grey finish, making it perfect for any bedroom style or gender. Of course, this bed is up to par with it’s toddler friendly height so your little one can maneuver off and on safely, even in the middle of the night. It includes two bed rails and fists a standard crib mattress, so you won’t have to spend more money on a larger mattress just yet! The Dream on Me Toddler bed is a great inexpensive option. When purchasing this toddler bed you have a whopping EIGHT non-toxic finishes to choose from ranging from all versions of neutral to lime green! Buyers boast that this bed is an “excellent quality [bed], sturdy, and easy to assemble”! What more could you ask for in a toddler bed? The difference between this mattress and those previously mentioned is that its headboard and footboard are crafted with molding to give it a classic look with clean lines. This bed includes two safety bed rails and sits at the perfect height for your little one to reach up and grab their favorite stuffed animal to cuddle. We purchased our crib from IKEA, so I admittedly am partial to their products. As with many of IKEA’s furniture, they have worked hard to make this piece as versatile as possible for their buyers. The flat of this bed extends so that it can fit a variety of mattress sizes, allowing the bed to literally grow with your child. Mattresses and fun IKEA bedding are sold separately but may be ordered all together from the same store for an easy hassle free purchase. What busy parent doesn’t appreciate that? Pottery Barn’s Emery Toddler Bed comes in at the most expensive on my list but it was, “built for longevity”. Pottery Barn makes some great high quality products and this toddler bed is no exception. 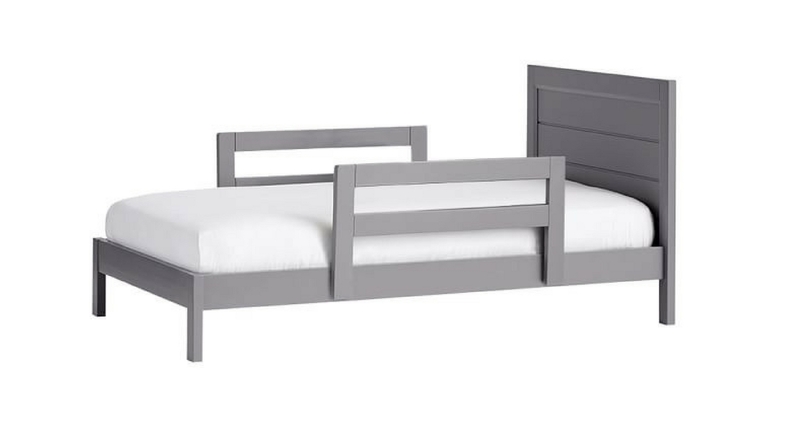 With it’s neutral color choices and simple lines, this bed is a great choice that can be used for kids to come! Check out this post to see list of my top picks for Best Cribs to Buy.